Baienwei supplies AlSi alloys which includes: Silicon content: 27%,42%,50%,60% and 70%. AlSi alloys are mainly used in electronic packaging fields, playing outstanding performance in power electronic device package, such as integrated circuit modules, microwave high power devices and T/R modules and so on. 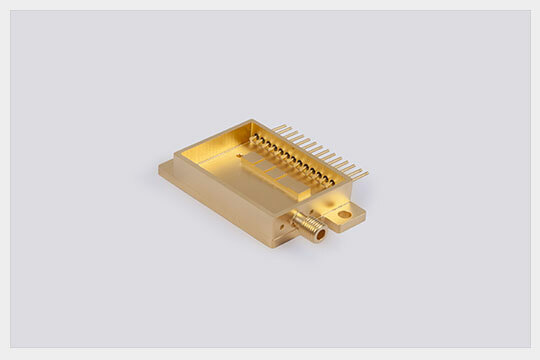 Being an electronic packaging material, AlSi alloys can also be applied in substrates, housings, carriers and lids, having a better compatibility and heat dissipation to prolong the working life of high power modules. AlSi alloys have the features like light weight, high stiffness, high thermal conductivity, low CTE, excellent machinability, weldability, surface plating performance, hermeticity, high temperature resistance and corrosion resistance. Baienwei adopts techniques of rapid solidification and subsequent machining, offering a battery of electronic packaging services, including R&D, production, subsequent machining and plating. Copyrights © 2018 Tianjin Baienwei New Material Technology Co.,Ltd. All Rights Reserved.